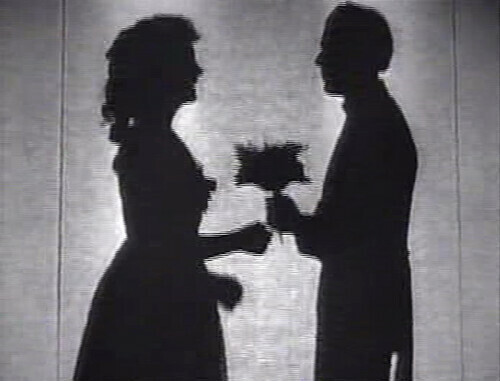 Esther Waters (1948) is a film in the tradition of Madame X, The Secret of Madame Blanche and The Sin of Madelon Claudet. 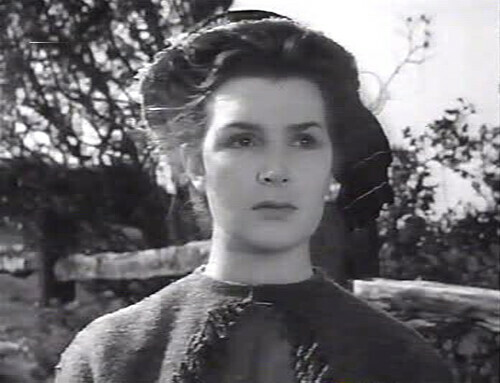 Like these other films, the heroine of the story is a proper young woman who finds herself in a very improper situation. Stories about fallen women are often really fun to watch, especially when the woman becomes really spunky and witty to compensate for her misfortune. Unfortunately, in this film Esther continues to play the part of a deer-in-the-headlights innocent through all of her troubles, and her righteousness and piety began to wear on my nerves a little by the end of the movie. 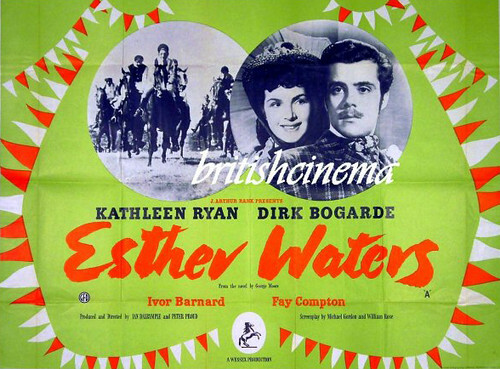 In this story, Esther Waters (Kathleen Ryan) is a very religious maid embarking on work in a new household. Quickly she learns that the horses in the stables are being bred for racing (betting!! the horror!! ), and the maids she has to associate with like to read salacious literature aloud in their spare time. Disgusted by the sinful activities around her, she befriends her employer's wife, who is also deeply religious and advises Esther to accept the sins of others as long as she remains good herself. 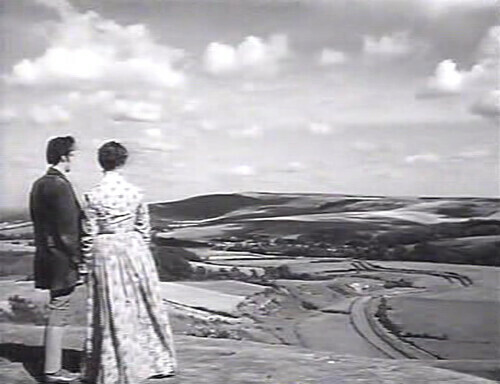 She also befriends stable groom William Latch (Dirk Bogarde in one of his first film roles) an ambitious young man whose family used to own the land he now works on before his father gambled away their capital. Despite the misfortune that had befallen his family before, Latch believes he is very lucky. He plans to win enough money betting on the horses to eventually buy a pub, become a bookie and earn back his family's land. After returning from a very successful day at the races, the employers throw a massive party to celebrate. William Latch takes Esther as his date, and the moonlight, fireworks and romantic canoe ride on the lake all swell to make Esther completely forget what a rigid moralist she is. I think you know where this is going by now. Our heroine Esther is now with child, but every time she tries to tell Latch, something gets in the way. Have you ever noticed how often this happens in movies? Jane: "Tom, I have to tell you something. It's very important." Tom: "Yes, Jane, what is it?" Jane: "You might not be very happy about it." Tom: "I don't think you'd like the real me." Jane: "What do you mean, the real me?" Tom: "Well, I'm not who you think I am. I'm.."
Jane: "Can I come over? I have to tell you something." Tom: "Can you just tell me over the phone?" Jane: "No. I have to tell you in person. It's important." TOM'S FRIEND ALREADY KNOWS AND TELLS HIM BEFORE JANE GETS THERE. Anyway, back to the movie... 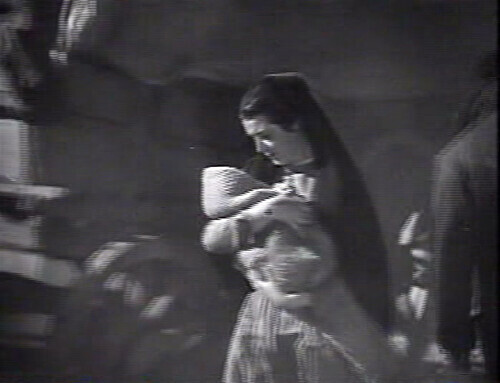 Latch runs off with another woman because he doesn't know that poor Esther is in a family way. This leaves her all alone in the world with their child. She is now faced with the consequences of being a poverty stricken unwed mother. 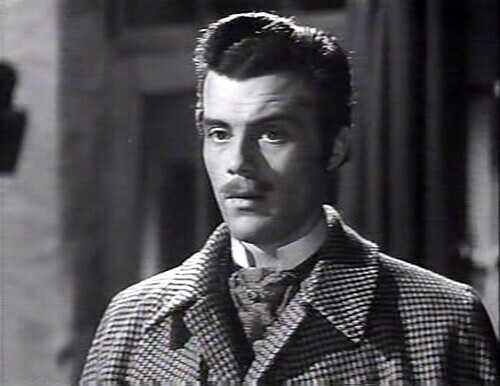 I won't spoil the rest of the movie, except to say that Dirk Bogarde shows up again after about six years have passed. To show that a great length of time has passed, this film utilizes another annoying plot trick. Despite the fact that Esther looks exactly the same as she did the last time they met, Mr. Latch has really grown up! I mean, he has a mustache! I can't even begin to count how many films there are in which men grow mustaches to show that time has passed! I think a simple "six years later" title card would suffice -- and that would have left Dirk Bogarde's face looking ridiculously handsome instead of ridiculous. His angular, boyish features just don't mesh well with a bushy mustache. I love the mustache! Lol I always find it strange when time elapses but the people look exactly the same from before. They must have good genes or something because typically that isn't normal. Great review! Haha! I thought the same thing about the mustache! It doesn't suit him at all! Esther Waters annoyed me, too. And the ending just made everything worse! At least they put the mustache on Dirk Bogarde and not Kathleen Ryan! That would have been even more annoying. Hahaha! Lovely review! I love when you're being sarcastic! Dialogues like that always annoy me - it's such a cheap trick to build up suspense! And the cliché that the women look as young as before when ten years have passed, and the man has grown a moustache... haha! That leading lady character seemed really boring. I wonder what the purpose of the film was? Probably the producer had lost a huge bet, and wanted to show how evil gambling is. I think I'm gonna like this blog...! !!! I want to see this movie. Where/when did you first see it? Is it on DVD?